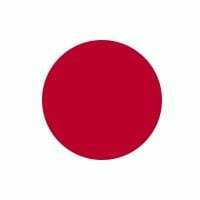 Japan is an island country in East Asia in the Pacific Ocean. It lies off the eastern coast of the Asia Mainland (east of China, Korea, Russia) and stretching from the Sea of Okhotsk in the north to the East China Sea and near Taiwan in the southwest. Japan has a huge capital city called Tokyo, other cities in Japan include Fukuoka, Hiroshima, Osaka, Nagoya and Sendai. It's close to South Korea, which is on the North West of it. It has a large population of 126.86 million people (Statistics Bureau of Japan. Retrieved April 27, 2016). Japan is a stratovolcanic archipelago and consisting about 6,852 islands. The four largest are Honshu, Hokkaido, Kyushu and Shikoku, which make up about ninety-seven percent of Japan's land area and often referred as home islands. The country is divided into 47 prefectures in eight regions. Hokkaido beings the northernnmost prefecture and Okinawa beings the southernmost one. The population of 127 million is the world's tenth largest. Japanese people make up 98.5% of Japan's total population. Approximately 9.1 million people live in the core city of Tokyo, the capital of Japan. It's main language is Japanese, although other languages are found to be spoken there. The language Japanese has many writing systems - Kanji, Hiragana, Katakana, Rōmaji, Arabic Numerals and Hentaigana. They have different uses and purposes. American people associate Japan with anime, wealth and games. Nintendo and Sony are famous game companies that are located in the country. It is a well known country. The country's official and national language is Japanese.